Production dates: Apr. 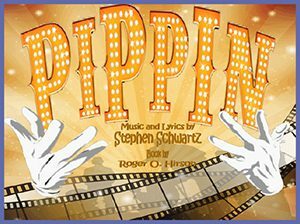 19–May 5 with planned extension through May 12 With an infectiously unforgettable score from four-time Grammy winner, three-time Oscar winner and musical theatre giant, Stephen Schwartz, (Wicked) Pippin is the story of one young man’s journey to be extraordinary. Winner of four 2013 Tony Awards including Best Musical Revival, Pippin continues to captivate and appeal to the young at heart throughout the world. The Players: A group of 6 men and 6 women who are a fantastical ensemble of actors, singers, dancers that play multiple characters to tell Pippin’s story including troubadours, warriors, farmers, lovers, and demonic presence. Heavily featured throughout. They represent the influences and voices in Pippin’s head. Must be comfortable on stage stripped down to undergarments or dance attire. Male and Female, Age: 16+, Vocal Range: Musical Theater SATB, Dance: Required. Lewis: The youngest son of Emperor Charlemagne and Pippin’s half-brother. A strong, brash and dim-witted soldier, Lewis loves his mother almost as much as he loves himself. He is next in line (after Pippin) to inherit the throne. Addicted to the physical, Lewis loves weight lifting, Lewis loves wrestling, but most of all, Lewis loves Lewis. Requires good physicality. A young character actor who plays the antagonist. May be part of The Players as well. Male, Age: 20-30. “PIPPIN” is presented through special arrangement with Music Theatre International (MTI). All authorized performance materials are also supplied by MTI. www.MTIShows.com.